Korean game developer Pearl Abyss unveiled their new mobile MMORPG Black Desert Mobile at the Samsung Electronics exhibition hall of the Mobile World Congress (MWC) in Barcelona, Spain today. A playable demo version is available in the Samsung Electronics Experience Zone so interested parties can get an exclusive first look at the game during the span of the exhibition. Also, those who were at the Galaxy S9 and S9+ Unpacked event on February 25 also got to see a brief clip of the trailer on the big screen. The Samsung Electronics exhibition hall attendees can try out Black Desert Mobile on the Galaxy S9 and S9+. In addition, Samsung Electronics and Pearl Abyss are partnering up to develop a next-generation graphics API, Vulkan, and make Black Desert Mobile Samsung Dex compatible in the near future. 'Vulkan' is a next-generation standard graphics API (application programming interface) that can improve graphics performance and maximize efficiency, enabling the game to run console level graphics on a smartphone. As the Galaxy S9 technology is more emphasized on high-quality graphics, the strength of Black Desert Mobile is brought out even more to provide users with an even more immersive gameplay experience. In addition, this partnership will make the game playable on the Samsung DeX which will allow users to enjoy gameplay on a bigger screen with a mouse and keyboard similar to what you would get on a PC game. Black Desert Mobile is a mobile MMORPG with cutting edge graphics that goes beyond mobile limits. The original Black Desert Online’s vast open world, exciting action combat, high-quality graphics and freedom to explore have all been reproduced for the mobile platform. It has attracted a great deal of attention, reaching over 4 million pre-registrations in Korea alone. The original PC version of Black Desert Online is an open world action MMORPG. Since its initial launch in December 2014, it has been launched in over 150 countries, is available in 12 languages and has over 8.5 million registered users. The console version is also scheduled to launch in 2018. 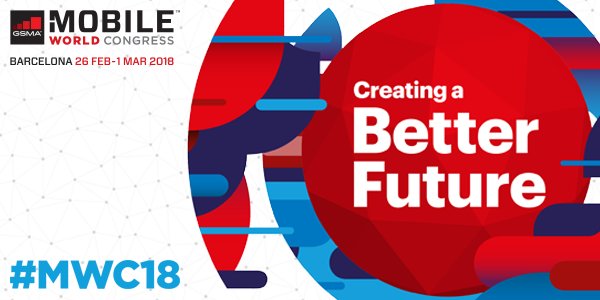 The 2018 Mobile World Congress will run from February 26 to March 1 at the Fira Gran Via conference facility in Barcelona, Spain.